Rise of the independent rap artist. We’ve all pulled out our phones, put our heads down, or shied away from the person on the corner that will say those dreaded words: “Aye man, you wanna buy my mixtape?” For most people it’s hard to compare these individuals to those living in luxury at the top of the charts. Chance the Rapper represents an emerging phenomenon as he diverges from the usual path to success, claiming that listens on SoundCloud is a marker for his success, while still choosing to submit his music for Grammy nominations. Chance has recently come under fire for calling himself an independent artist as he received $500,000 for his album Coloring Book, which was originally released strictly on Apple Music. Independent artists are classified as those not affiliated with the big three of music recording and distribution: Warner Music Group, Sony Music, and Warner Music Group. 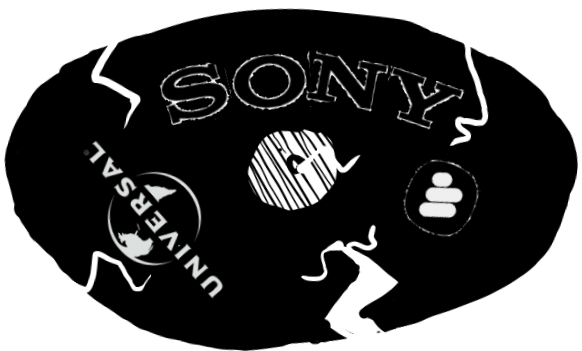 These corporations are responsible for 80% of the musical markets distribution, making them an apparent necessity to the livelihood of mainstream artists. Getting signed by one of these labels represents “making it” to up and coming talent, as they expect it to lead to their shining name on the marque. While the appeal of immediate payment after signing and long term loyalty to the artist can certainly be enticing, signing to a label doesn’t come without consequences. For one, these advances don’t last as long as expected. The cost of producing the album itself, along with the cost of touring and in some cases promotion, many artists wind up in debt, relying on the measly 15% of the profit from sales they receive to stay afloat. Many of the contracts distributed by these labels feature a “work for hire” undertone, stating that the employer of the artist essentially owns the rights to the product, causing the artists to lose out on profits.